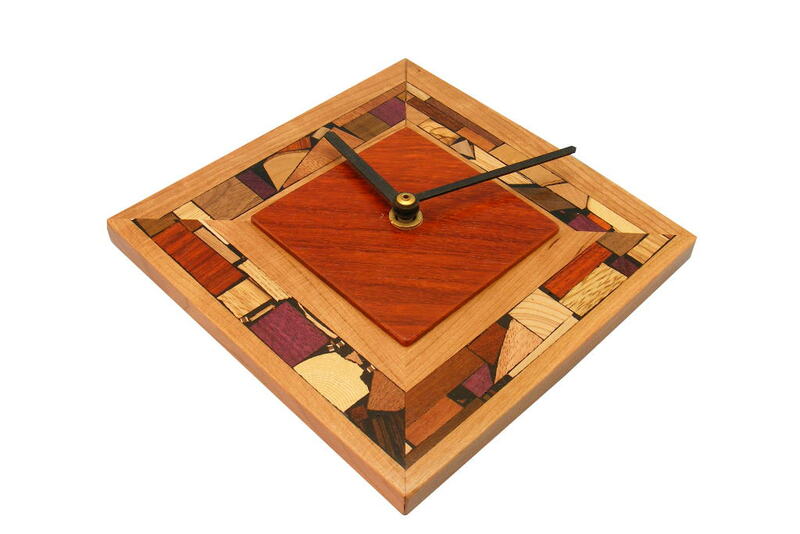 This modern Diamond Mosaic Wall Clock made from wood features a diamond shaped frame decorated with Etz-Rons’ signature hand inlaid multi wood mosaics. 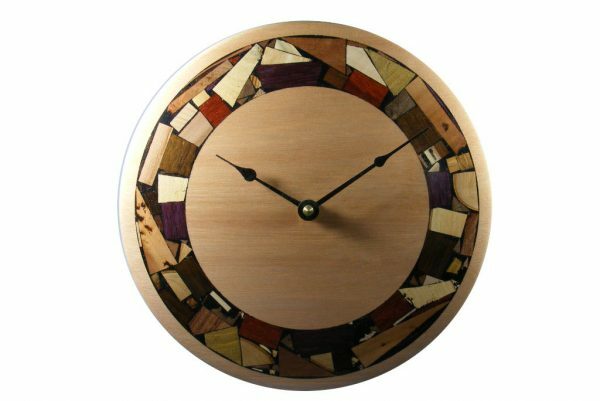 Each wood piece in the mosaic inlay retains its’ original color and grain pattern, no stains or dyes are used. Give your home that warm and rich touch by placing this clock on your wall. With battery-operated quartz movement running on a “A” battery (not included). Currently out of stock- Allow 3-4 weeks lead time.